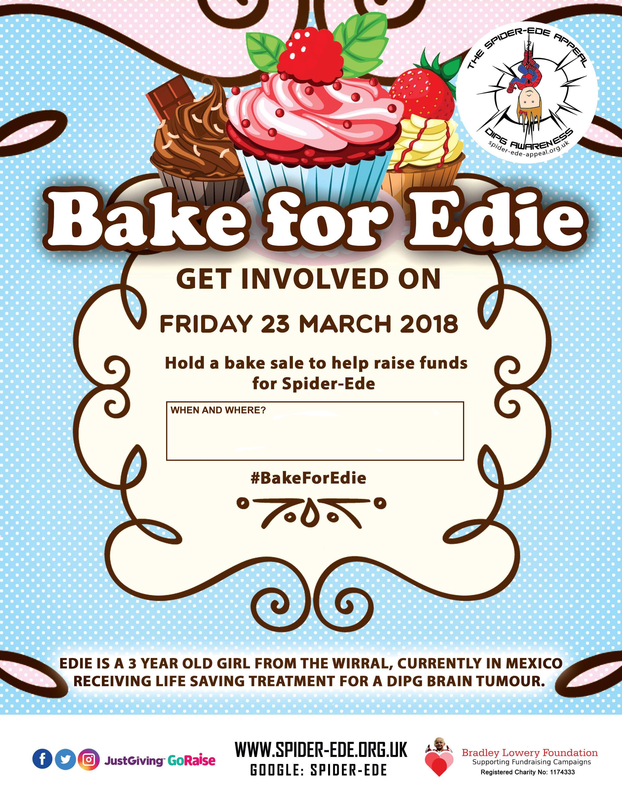 On 23rd March we are hoping that people around the nation and beyond will hold a bake sale for Edie, to help raise funds for the appeal and awareness of DIPG. 3 year old Edie Molyneux is currently in Mexico receiving treatment for an inoperable brain tumour. This is a very rare but horrible fatal disease where just 25-30 children per year are diagnosed in the UK. That’s a classroom full per year. It’s rare but not rare enough. So please join us all in getting involved by holding a bake sale. Cakes, biscuits, even savoury bakes! 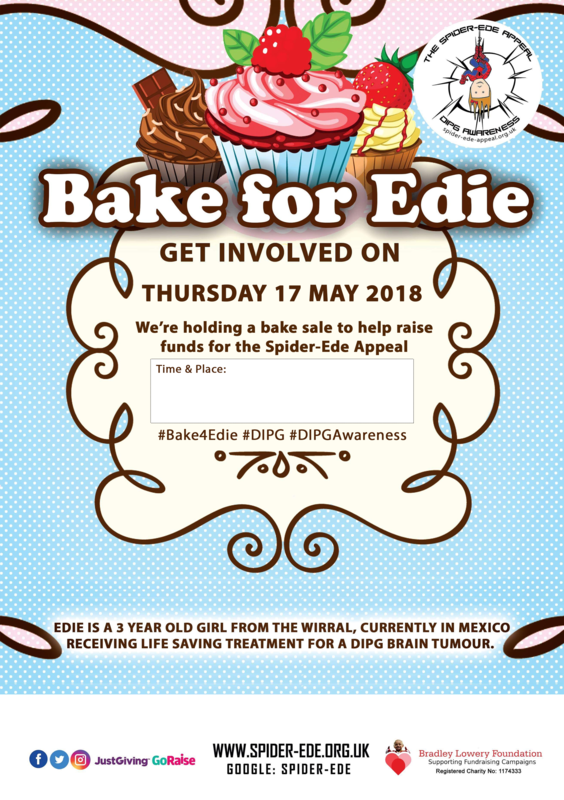 We have a poster below that you can download, print off and put up around your place of work or community, and we’d love to see your photos of cakes and bakes. We’re trying to spread awareness and with your help we can do that even more. 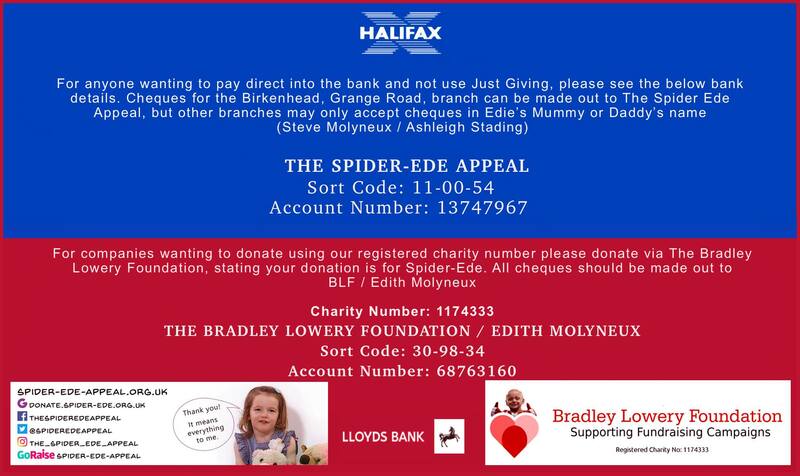 Please contact chris@spider-ede.org.uk if you deposit via the bank account so that it can be noted and added to our offline donations list.